A 12mm high bounce playing surface of the junior table tennis table from Dunlop ensures improved control and a consistent play, while strong metal frames (7.9” x 11.8”) guarantee enhanced durability and support. 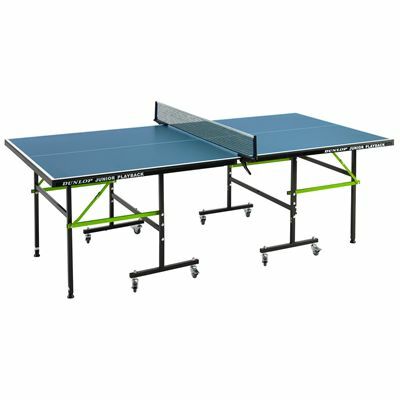 This sturdy table is suitable for indoor recreational use and has been designed to provide hours of great fun for families and friends. It offers playback facility for solo practice and has two separate halves that fold for easy storage and transportation. The table is pre-assembled and ready to play in only 10 minutes. It comes with an accessory pack including 2 bats, 3 x balls and a net and post set. 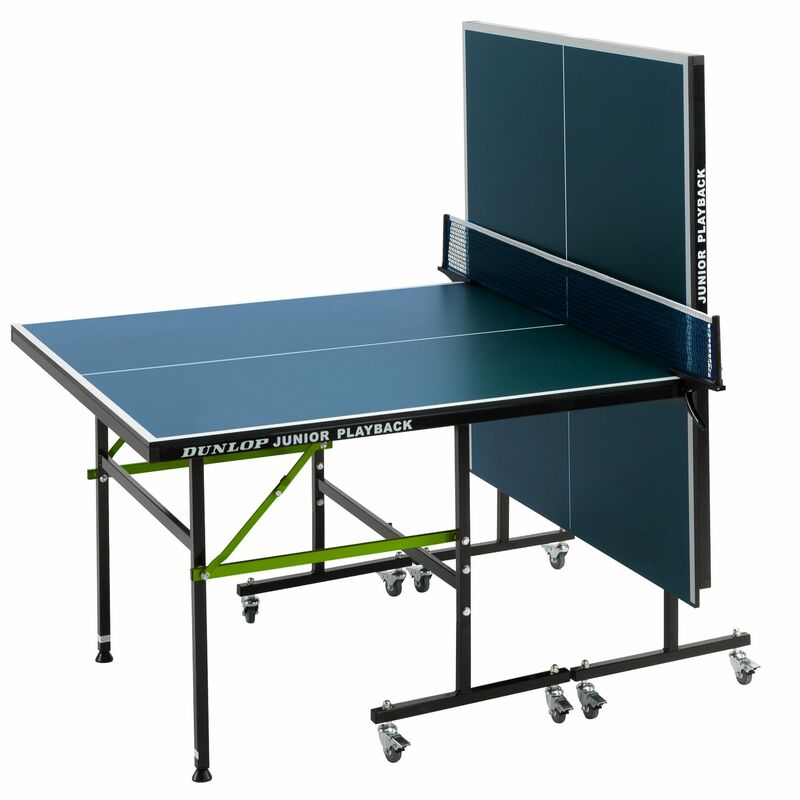 for submitting product information about Dunlop Junior Playback Indoor Table Tennis Table We aim to answer all questions within 2-3 days. for submitting product information about Dunlop Junior Playback Indoor Table Tennis Table. We aim to answer all questions within 2-3 days. If you provided your name and email address, we will email you as soon as the answer is published. Really easy to put together literally only took me 15 minutes. 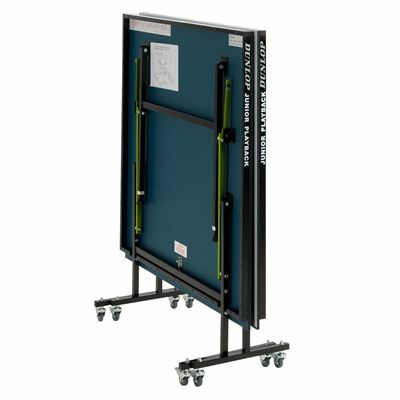 Good value for money, not a professional table but definitely good enough. Really can't complain with the price 4.5/5 from me. bought this for the grandkids to use and they loved it! relatively straight forward to put together it didn't take too long nor was it too taxing. Easy to fold up once you're finished with. Really good table. I play regularly with my dad (he always beats me!) Was told 10 days for delivery and it came in the morning on the 10th day so very happy with the service. Quick and simple to assemble took about 20 minutes. Would be a 5 star rating but I was expecting some kind of locking mechanism once its unfolded, not the case but it's still sturdy enough without one. Don't let that put you off great table for the price though! 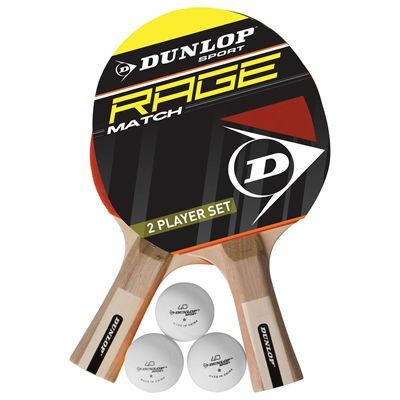 for submitting product review about Dunlop Junior Playback Indoor Table Tennis Table.